The high from pot is in part due to the effect of cannabinoids binding to receptors throughout the brain and body. There's a foundational error in how recreational stores categorize and cannabis consumers discern their bud. The misnomer is found in the faulty fork in the road made by novices and marijuana maestros alike: "Indica, sativa or hybrid?" It's supposed to offer a shortcut to desired effects, with sativa supposedly offering an energetic high, while indica offers a sedation that will put you "in-da-couch." The main problem with these assumptions is that subscribers to the theory are using the external morphology — the shape of the cannabis plant — to predict its effects, rather than the chemical composition of the plant itself. 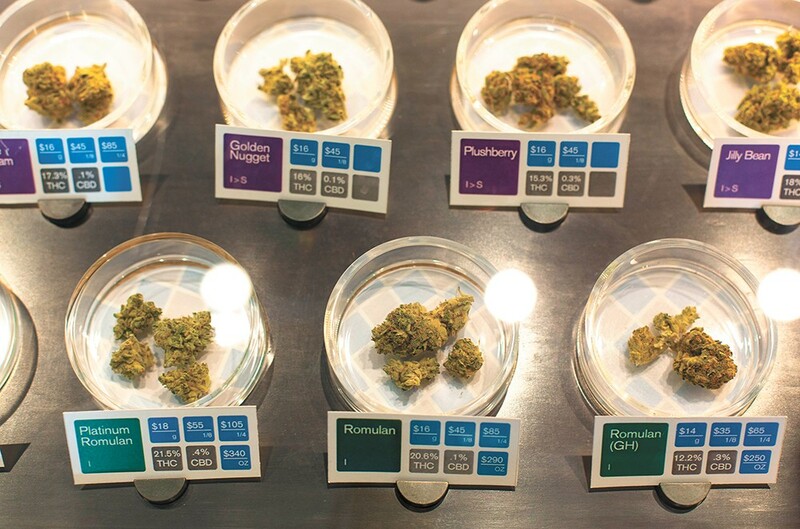 Instead, consumers should look at the array of different cannabinoids and terpenes found in prospective bud. Cannabinoids, like THC and CBD, affect the body in a wholly different way. The high from pot is in part due to the effect of cannabinoids binding to receptors throughout the brain and body. THC will bind to brain receptors, while CBD targets receptors throughout the body. These distinctions have helped the medicinal cannabis movement blossom and better address the needs of those who need aid with pain, versus those who have neurological ailments. Cannabis terpenes are aromatic oil compounds that are secreted from the flower's resin glands. Terpenes have a major impact on the psychoactive aspect of cannabis. Humulene, also found in hops and coriander, offers a woody aroma, suppresses the user's appetite and is beneficial in dealing with pain and inflammation. Limonene is a terpene that offers a profile of citrus and lemon, with the benefits of mood enhancement and stress relief.